Jonathan Neil Rhodes was born in Pietermaritzburg, Natal Province, South Africa. He is a South African cricket commentator and former Test and One Day International cricketer. He is commonly regarded as one of the greatest fielders of all time. He played for the South African cricket team between 1992 and 2003. As a cricket player, he is known for his quick running as a right-handed batsman, defensive fielding, particularly catching, ground fielding, and throwing from his most common position of backward point. Despite these qualities, he is a less accurate thrower than Herschelle Gibbs at the point when a run-out chance was present. He was born on the 27th of July 1969. As of 2018, he is 49 years old. 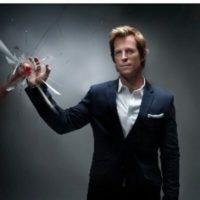 Jonty Rhodes has married twice. His first marriage was with Kate McCarthy, a niece of Cuan McCarthy on 16 April 1994 in Pietermaritzburg. They had two children: Daniella Rhodes and Ross Rhodes. The couple has since split up. In 2014 he married Melanie Wolf, and On 24 April 2015, Rhodes’ second wife Melanie gave birth to a daughter named India Rhodes, in Mumbai. Jonty Rhodes had two children who are named Daniella Rhodes and Ross Rhodes with his first wife Kate McCarthy. He had another daughter named India Rhodes in Mumbai with his second wife, Melanie.